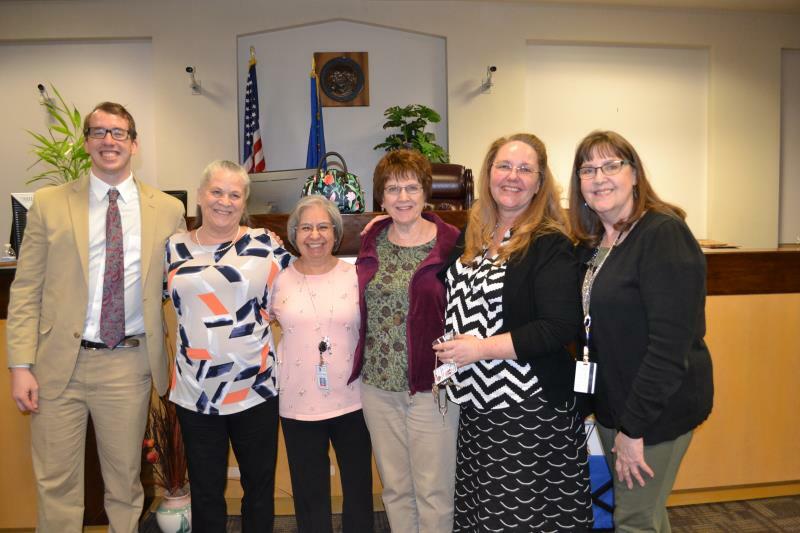 Judge Cynthia Diane Steel retired on January 8, after serving on the bench of the Eighth Judicial District Court, Clark County, Nevada, Family Division, for twenty-two years. 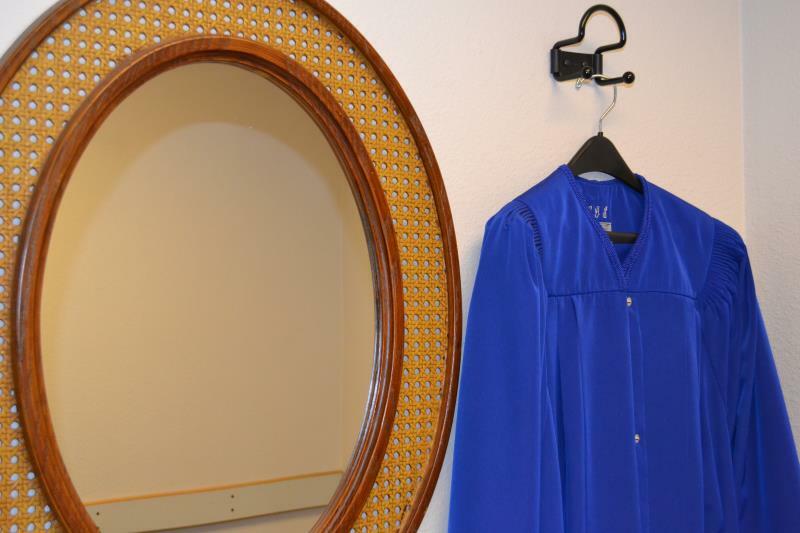 She was the most senior judge on the District Court bench. 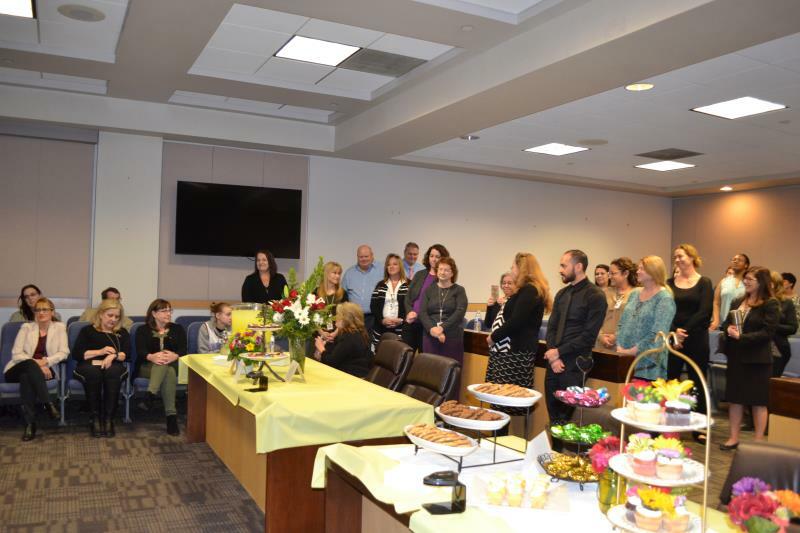 At her retirement party, Family Division Presiding Judge Bryce Duckworth presented Judge Steel with a proclamation that paid tribute to her service including: presiding over juvenile delinquency (2001-2002, 2003), abuse and neglect (2007-2011), guardianship (2007-2011) and civil-domestic dockets and dedicated her faithful service on the Supreme Court’s Blue Ribbon Commission on Guardianships. 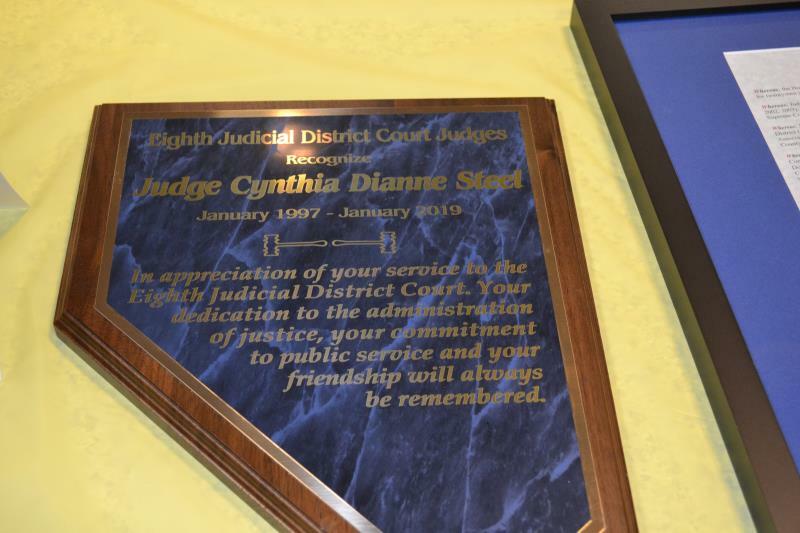 He noted that Judge Steel served as the presiding judge in the Family Division from 2000 through 2002, the president of the Eighth Judicial District Court Pro Bono Foundation from 1998 to 2003.She served a long list of organizations including: the Nevada District Judges Association, the Clark County Bench Bar Committee, the Nevada State Bar, Family Section Executive Council, the Board of Trustees Clark County Law Library and the Family Court Legislative Representative. Judge Duckworth also called attention to Judge Steel’s service on the following committees: Legislative Committee, Mentor Committee, Court Technology Committee, EDCR Rule Committee (2003 and 2013), Courtroom Committee, Supreme Court Domestic Violence Task Force, Southern Nevada Domestic Violence Court Committee, DFS Policy & Fiscal Affairs Board Committee, Court/Clerk Internet Committee, District Court Strategic Planning Committee, District Court Implementation Team, Juvenile Justice Commission Work Study Group, Judicial Council of Southern Nevada, and the Judicial Domestic Violence Committee. Judge Steel was credited for being instrumental in the creation of several programs that have benefitted the Court and, more importantly, the community, such as: the Donna’s House Visitation Exchange Program, the Judicial Studies Program, the Self-Help Center Project, the Youth Eagle Leadership Project, and the Jury Services-CASA Recruitment Program. Judge Duckworth credited Judge Steel for leading a green initiative to discourage attorneys and litigants from attaching exhibits to their motions. 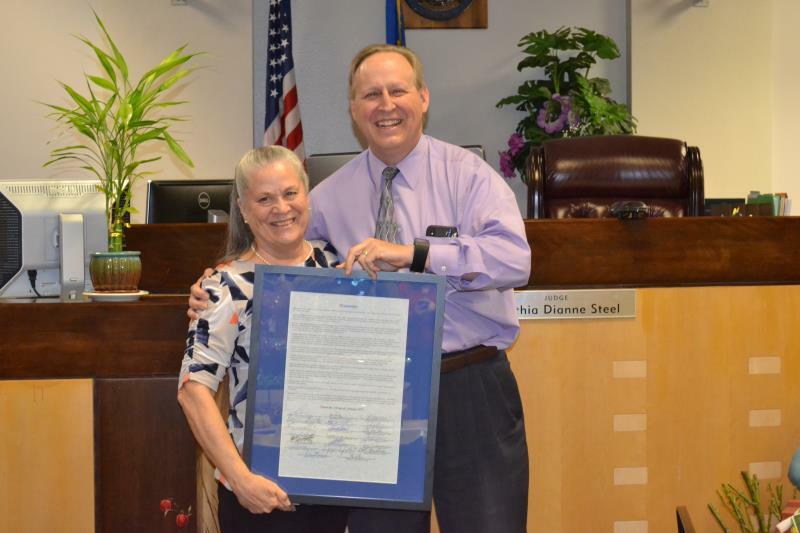 He noted that prior to her service on the bench, Judge Steel served as a Nevada State Assemblywoman in 1995, where she promoted the One Family/One Judge Project that has had a lasting impact on the Family Division case management system, reducing confusion and inconsistencies. Judge Steel’s public service also included serving as the chief of staff in the lieutenant governor’s office in 1996. Judge Duckworth closed by telling Judge Steel that she will be missed. 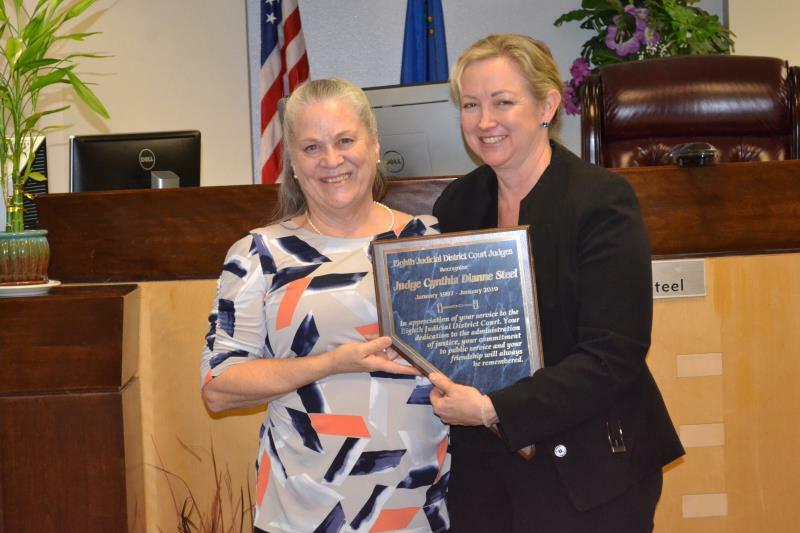 “It has been an honor and a privilege to serve on the court with you," said District Court Chief Judge Linda Marie Bell before presenting Judge Steel with a plaque from the court. 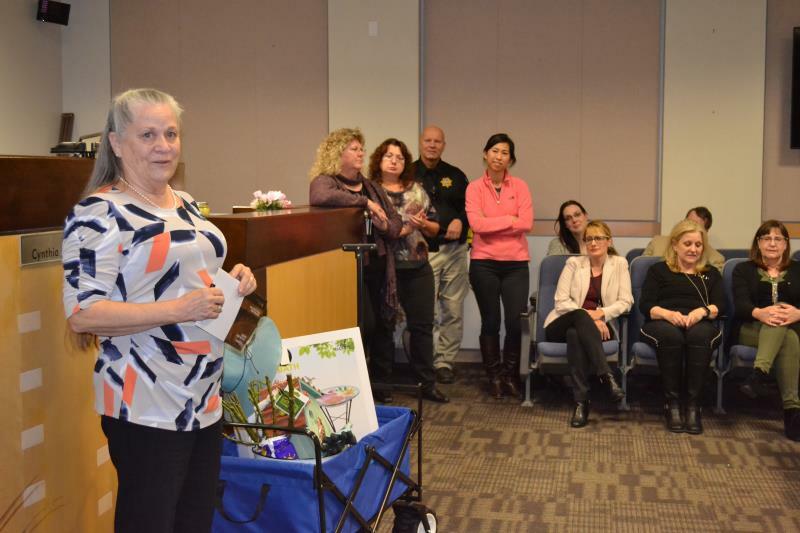 Another one of the parting gifts for Judge Steel was a wagon of garden tools so she could dig in to one of her favorite pass-times in retirement. 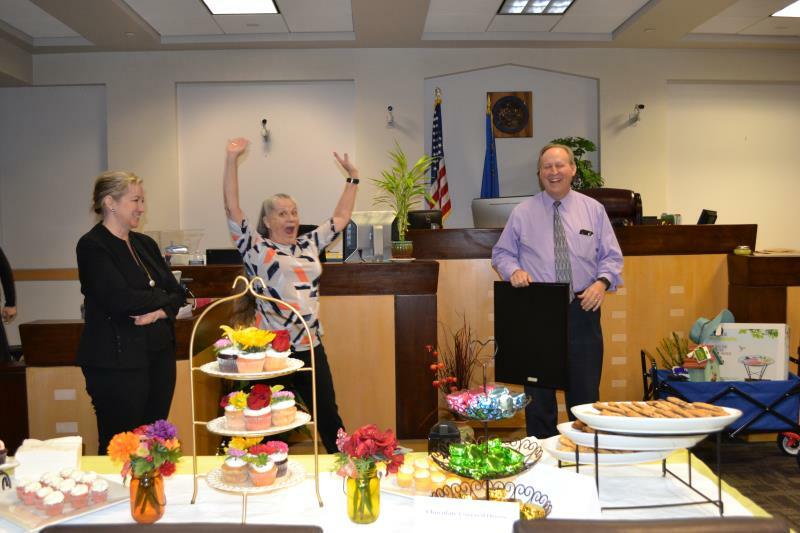 Judge Steel offered words of encouragement and said, “I am grateful for the 22 years.